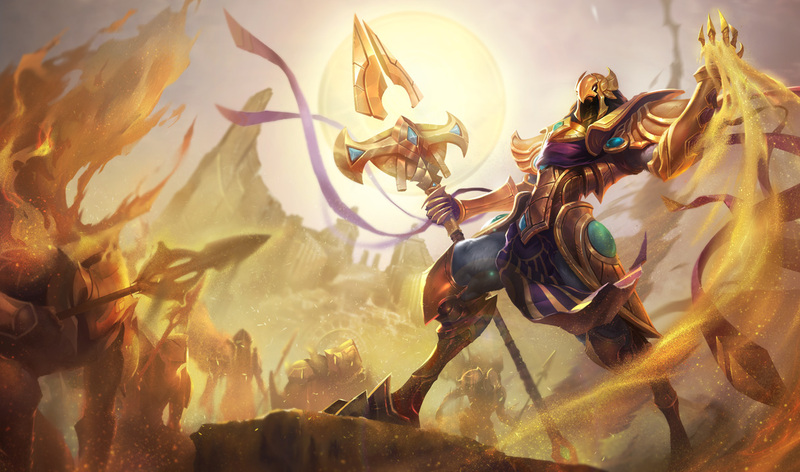 Surrender at 20: Azir, The Emperor of the Sands, now available! "Challenge Shurima, challenge fate!" - Azir is now available for purchase and play! During his first week of availability, Azir will be priced at 975 RP / 7800 IP, after which he will drop to the standard 6300 IP price point. 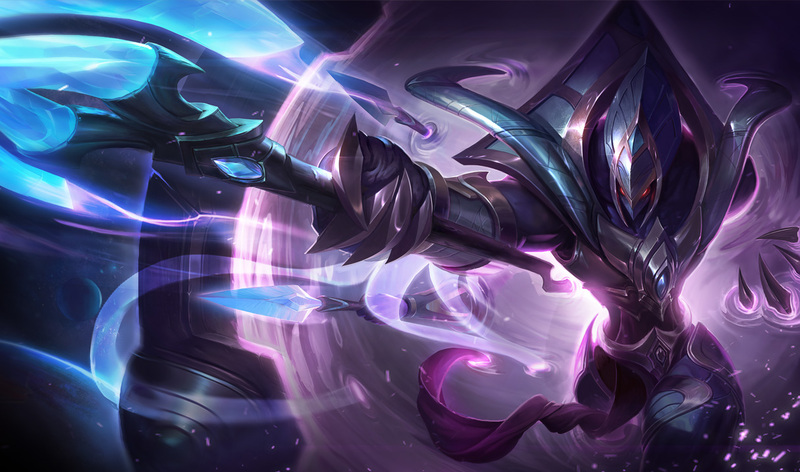 Alternatively, you can pick up Azir and Galactic Azir in his release bundle for 1462 RP! Continue reading for a better look at the return of Shurima's ruler! 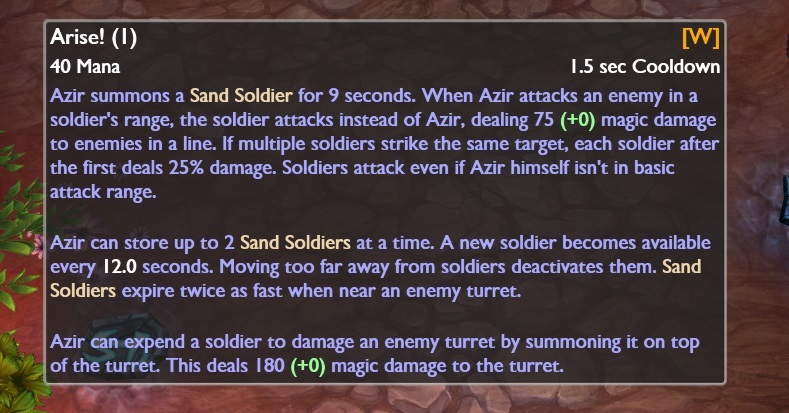 On to Azir's abilities, most of which utilize his unique Sand Soldiers! Will of the Emporer: Azir gains 1.25% Attack Speed for every 1% Cooldown Reduction he has. Disc of the Sun: Azir can summon the Sun Disc from the ruins of a turret once every 3 minutes. The Sun Disc behaves like a normal turret but disintegrates over 1 minute. Click the ruins of a turret to activate Disc of the Sun. The ruins of enemy Nexus and Inhibitor turrets are immune to this ability. Azir sends all Sand Soldiers towards a target location. Sand Soldiers deal 60/90/120/150/180 (+0.5 AP) magic damage to all enemies they pass through and apply a stacking 25% slow for 1 second. Azir summons a Sand Soldier for 9 seconds. When Azir attacks an enemy in a soldier’s range, the soldier attacks instead of Azir, dealing X [ flat damage is based on level - 50/55/60/65/70/75/80/85/90/100/110/120/130/140/150/160/170 ](+.7 AP) magic damage to enemies in a line.If multiple soldiers strike the same target, each soldier after the first deals 25% damage. Soldiers attack even if Azir himself isn’t in basic attack range. Azir can store up to 2 Sand Soldiers at a time. A new soldier becomes available every 12/11/10/9/8 seconds. Moving too far away from soldiers deactivates them. Sand Soldiers expire twice as fast when near an enemy turret. Azir can expend a soldier to damage an enemy turret by summoning it on top of the turret. This deals X (0.7 AP) magic damage to the turret. 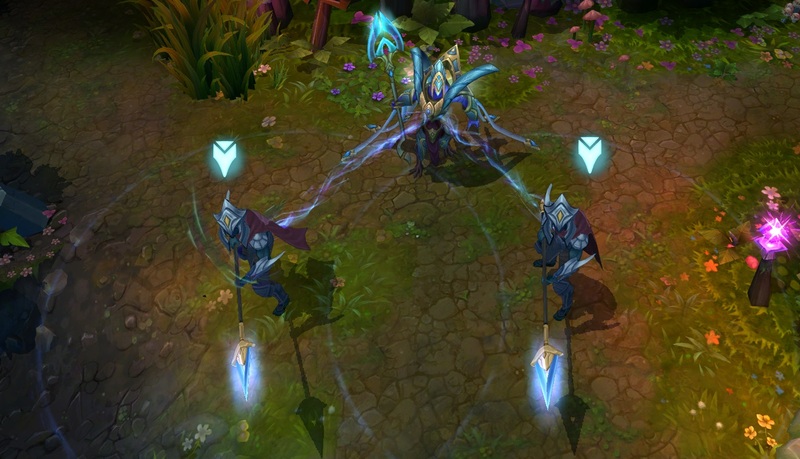 Azir summons a wall of armored soldiers that charge forward, knocking back enemies and dealing 150/225/300 (+0.6 AP) magic damage. The soldiers then remain as a wall for 5/6/7 seconds. Enemies will be stopped by Emperor’s Divide, even if they attempt to dash over the wall, but Azir and his allies can pass freely and gain 20% movement speed for 1 second when they pass through the wall. "Once a mortal man blinded by his own hubris, Azir has recently returned as an ascended being with unmatched dominion over the burning sands. He seeks to restore Shurima to its former glory, but some dispute his right to rule them. Azir's power, however, is undeniable." The rest of Azir's & Shurima's story will play out over on the Shurima promo page, including Descent into the Tomb and Rise of the Ascended. Azir's massive voiceover, which spans over 11 minutes, also includes a slew of special interactions for champions, items, playing games of Ascension, and more! "Emperors have no rivals, Xerath... only liabilities." "You have already failed, Xerath. You must now accept it!" "Traitor! I cast you to the winds." "Shuriman sands flow ever in our favor." Finally, Azir also has oodles of special lines that play when he joins, plays in, and wins a game of Ascension. "Here we shall decide the future of Shurima!" "Today you will see the power of ascension!" "Like the sun Shurima always rises!" "I will reclaim my stolen legacy!" "It is my time; Put your faith in me." "You need not follow me but you cannot stop me." "Teach them to respect ascension!" Individual clips of all of this special interactions are available for play on Azir's LoL Wiki Entry. "The evening’s gentle darkness envelops a lone, rickety barn, its decayed walls sagging against the framework. A cool breeze glides across the surrounding fields. Suddenly, a dazzling beam of light punctures the clouds, enveloping the world beneath. The earth begins to quake, crumbling rotted beams as a massive vessel usurps the sky. It plummets through the air, halting its plunge before smoothly touching down. Settling to the ground, the front wall of the skip dilates open, revealing an imposing figure silhouetted against the pale glow of the ship’s interior. Galactic Azir has come to rule."